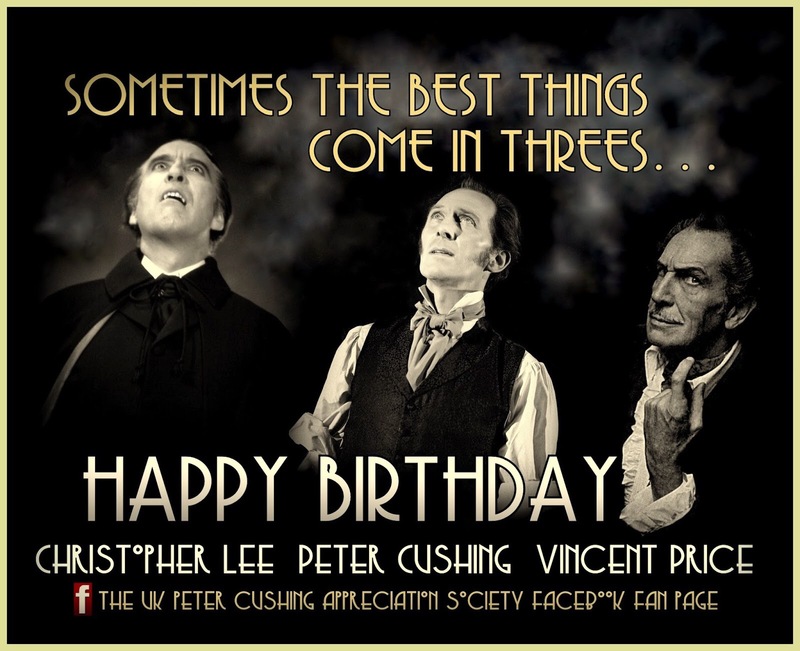 Happy Birthday to Three Horror Icons! | Dapper Cadaver Blog » Gothic, Horror & Halloween! Time to shake up a classic cocktail and watch a classic Hammer film or a perennial favorite like Horror of Dracula or House on Haunted Hill. If you are in the LA area, our friend Matt Babb is hosting an intimate Vincent Price birthday dinner on June 1st with delights from Price’s own cookbooks. Space is limited but there are a few reservations left at Thank You for Coming. Happy birthday, gentlemen of horror! This entry was posted in Events, Freaky Friends, Horror Movies. Bookmark the permalink.